Social Theory and the Urban Question offers a guide to, and a critical evaluation of key themes in contemporary urban social theory, as well as a re-examination of more traditional approaches in the light of recent developments and criticism. Dr Saunders discusses current theoretical positions in the context of the work of Marx, Weber and Durkheim. He suggests that later writers have often misunderstood or ignored the arguments of these 'founding fathers' of the urban question. 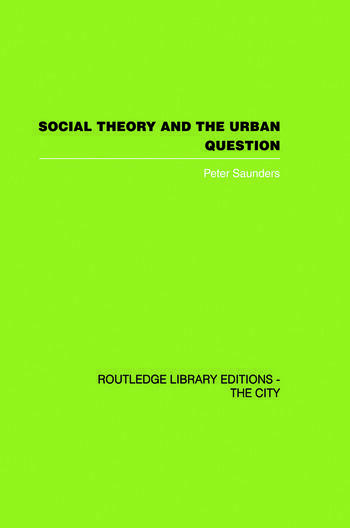 Dr Saunders uses his final chapter to apply the lessons learned from a review of their work in order to develop a new framework for urban social and political analysis. This book was first published in 1981.